Below is a sample of math-related questions that could be posed in a "Singapore Citizenship Proficiency Test" paper meant for future naturalized citizens. A. the fourth largest city in China, after Guangzhou, Shanghai, and Beijing. B. the capital of Malaysia. C. an island situated near the equator. D. an island off the East coast of Taiwan. 2. The Singapore model method, or bar method, is a naturalized math product. Where did it originate from? A. the United States and in fewer than 10 Asian countries. B. more than 50 countries around the world. C. fewer than 20 Commonwealth countries. D. over 120 American schools. 4. 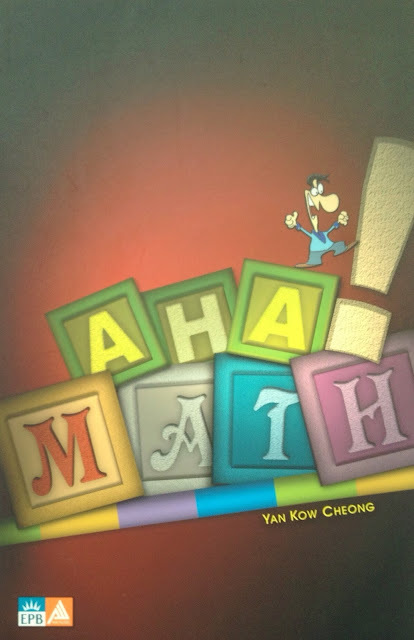 The "Math in Focus" series of books, published in Singapore and printed in China, is an adaptation of a local popular math series. 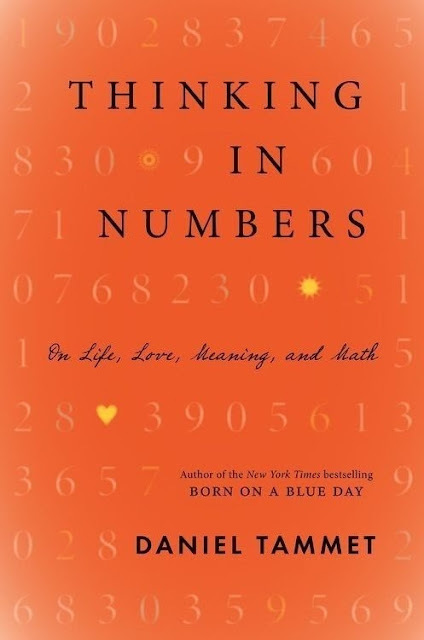 What is the name of this math series? 5. Which country came top in the Trends in International Mathematics and Science Study (TIMSS) for three consecutive times? 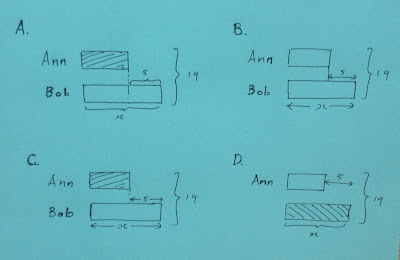 Based on a grade two word problem, the diagrams below show the solutions of four students. 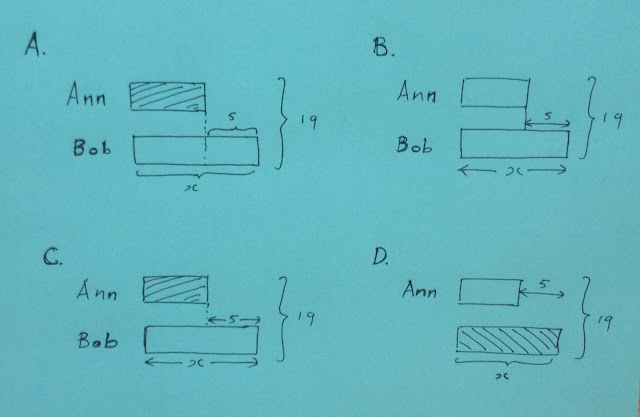 Which one best represents a suitable model drawing? The right [or write?] model is ____. The comment is anything but far-fetched, as it's an open secret that it's much harder for a high-school graduate to be admitted to the top universities in China than to secure a place in the top two universities in Singapore. Here's a possible PISA or TIMSS ranking, should they decide to compare city-state Singapore with the world's best cities in mathematics or science. Will Singapore be around in the next century? In the sixties, to control the population growth, the slogan then to [primarily non-college-] graduates couples was: "Stop at two kids!" Today, to address the declining birthrate, the dangerously unwritten slogan in some postmodern or liberal circles is: "Seek two… wives!" Or, maybe it's: "Stick to one wife, but sleep with a few concubines!" 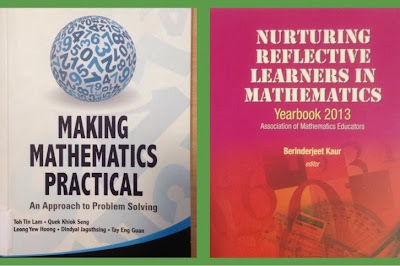 Two more expensive-cheat Singapore math books—titles which over-promise and under-deliver, or whose contents are worth a fraction of their published prices—according to dozens of local teachers, tutors, lecturers, and parents. Order them from Amazon.com if you've extra cash to spare! Yan, K. C. (2010). The Lighter Side of Singapore Math (Part 1). April 1, 2010. © Yan Kow Cheong, December 15, 2013. Friday 13 is one of the beloved or lucky days in the Gregorian calendar year for most recreational mathematicians and math bloggers, who can't wait to share some musings about the number 13 and Friday the thirteenth to their non-mathematical friends, fiends, and foes. If you can read about the number 13, you probably don't suffer from triskaidekaphobia—the fear of the number 13… but your children and grandchildren still might. On a plane or in a theater, shouldn't you feel "unsafe" rather than safe because row "13" has often been intentionally mislabeled "14"? Or, In a lift with no button number 13, would you feel "safer" that they've tried to "cheat death" by making triskaidekaphobes or paraskavedekatriaphobes (who are fearful of Friday the 13th) feel better? All in the name of profit or superstition! What color and shape is the number 13? What is the taste of 13? 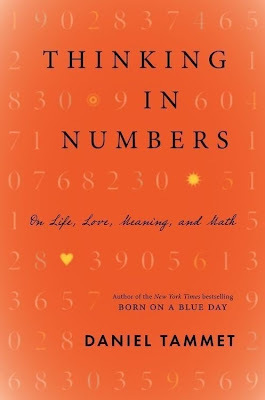 This book may shed some light on the prime number 13! Can Friday the 13th occur in two successive months? It's not difficult to see that the shortest span between two consecutive Friday the 13ths is 28 days. How often do you think this event happens? Have you experienced one in your lifetime, or know of someone who rejoices in this kind of numerical (or numerological) oddity? The number 13 is both a prime and a Fibonacci number. Whether there are infinitely many primes that are also Fibonacci still remains an unsolved problem. Cracking this higher arithmetic nut may bring you some mathematical prestige or fame, as your proof graces the pages of a Number Theory publication. A baby is born on Friday 13, 2013. When is the next time a baby will be born on the same day of the week in the same month, which also falls on a Friday 13? How often in a 400-year calendrical cycle does this happen? What are the odds that you will not survive on a Friday the 13th? Is the answer equivalent to finding the probability that a baby will be born on a Friday 13? Using the code A = 1, B = 2, C = 3, ...., show that the sum value of the phrase FRIDAY THE THIRTEENTH IS AN UNLUCKY DAY is a multiple of 13. What are the chances that one born on a Friday 13 will also die on a Friday 13? How many thousands of folks every year experience this double whammy? A solution may be found from Aha! Math. List 13 parallelisms between Friday 13 and December 25—what common features the most fearful (or frightful) date of the calendrical year shares with the king of the public holidays. Get creative, by connecting the unconnected! Defriend 13 of your Facebook friends, or unfollow 13 of your Twitter followers, who have been inactive in the last 13 months. Send them a Friday 13 alert of your mean intention to save bits and bytes on your RAM to reduce your carbon footprint. 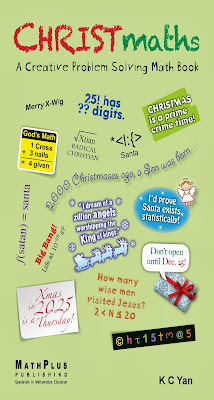 Pose at least 13 mathematical quickies and trickies, and share them with your on-line friends and fiends. What is the angle between the hands of a clock at 13:13? The sum of the ages of Casey and Ian is 13 years. If Casey is 1.3 months older than Ian, how old are they? A Happy & Blessed Friday 13! Yan, K. C. (2011). 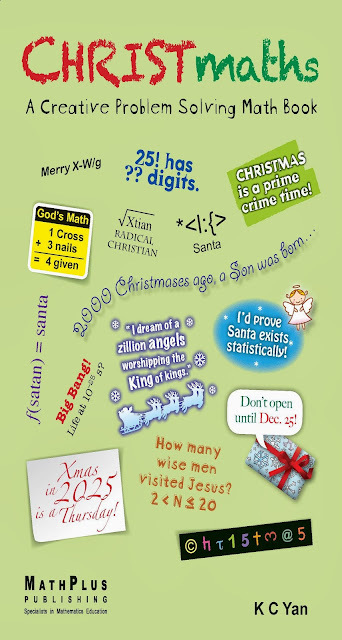 CHRISTmaths: A creative problem solving math book. 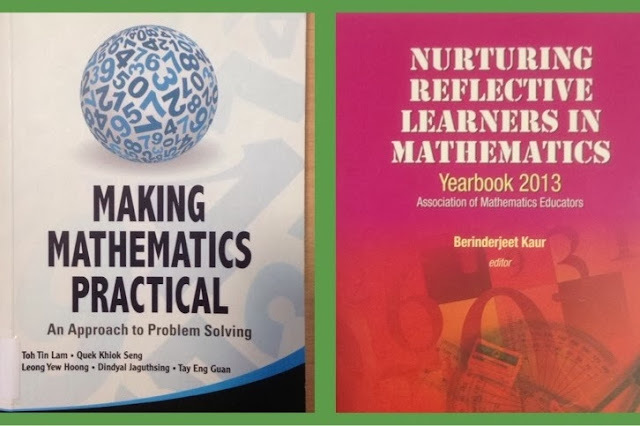 Singapore: MathPlus Publishing. Yan, K. C. (2006). Aha! math. Singapore: Panpac Education. © Yan Kow Cheong, December 13, 2013. In many Commonwealth countries, high school students sitting for the Cambridge G.C.E. 'A' Level/Higher School Certificate Examination are required to sit for the "General Paper," a paper that "tests the candidate's understanding and use of English and the extent to which he has achieved a maturity of thought appropriate to sixth-form (or high-school) students in their second year." Paper 1 contains topics for composition on a number of disciplines, ranging from geography and history to literature and language to arts and crafts to mathematics and science. From a dozen questions, students choose one to write an essay between 500 and 800 words in length. Paper 2, which lasts one hour 30 minutes, tests comprehension of one passage of continuous prose, or of two different passages that allow for comparative analysis. Let's look at some math-related topics that have appeared in Paper 1 of the General Paper in the last half century. The General Paper (GP) provides high-school math students an opportunity to write about their love for the language of science and of technology—they write about instead of on mathematics. In other words, they're to showcase their mathematical writing skills, as compared to professional mathematicians who focus on mathematics writing, which grace the pages of journals and periodicals. One wonders what percent of GP students would choose to write on these math-related themes, even if they're doing well in the subject? How many pre-university students would be confident or motivated to write an essay about the beauty, utility, or ubiquity of mathematics? It would be interesting to get some information on the popularity of math essays among GP students, from the Cambridge Examining Board. 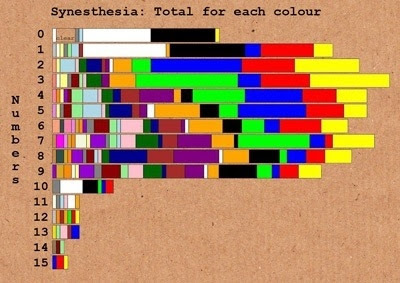 The General Paper also provides a good opportunity for both arts and science students to be mathematically cultured, as they write about the beauty and power of mathematics. Encouraging more students to write math essays would indirectly lead them to learn more about the story or history of mathematics—how mathematics and mathematical ideas have enriched the lives of humankind over the centuries. In other words, how the evolution and revolution of mathematical results or breakthroughs have helped shape civilization. At the least, GP math essay questions could help bring humanities, arts, and math closer. 1. Assuming that the essays are free of grammatical and spelling mistakes, what would make one's "math essay" stand head-and-shoulders above the rest of the competition? 2. Compare and contrast the GP essay with a 500-hundred-word college admissions essay. Which one promotes a higher degree of critical thinking? 3. How does the General Paper encourage students to explore and appraise mathematical, scientific, and technological issues? 4. Most GP or English language teachers are known not to like math. Would they give math composition a miss? Or, would they make an effort to learn more about the subject, so that they in turn would be confident to assign and mark these math-related essays? Fairfield Book Publishers Pte Ltd. (2013). 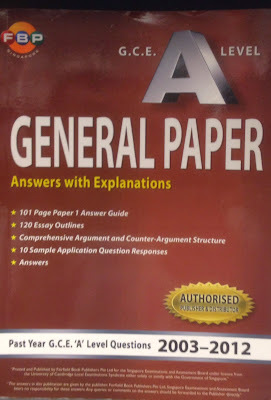 General paper: Answers with explanations. Singapore: Fairfield Books Publishers Pte Ltd.
Rajamanikam, J. (ed.) (1985). 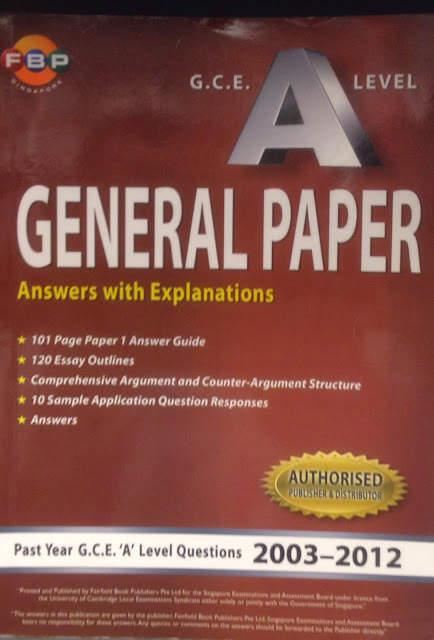 General Paper. Singapore: Redspot. SEAB/UCLES (2005). 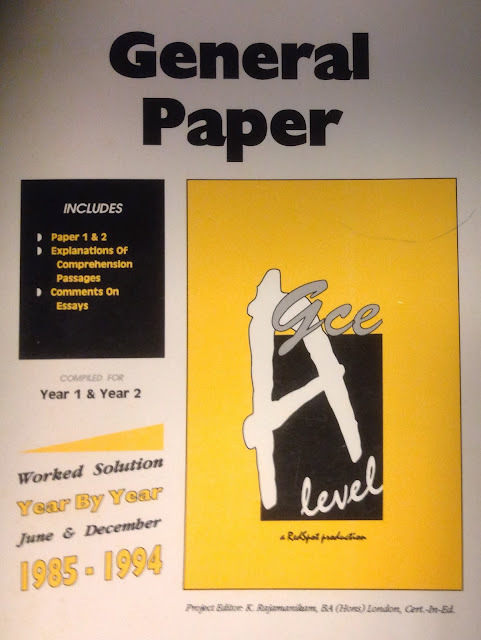 General Paper Yearly Questions G.C.E. A-Level Nov. Examination Paper 1 & 2 2001-2005. Singapore: Dyna Publisher Pte Ltd.
Singapore Asia Publishers Pte Ltd. (2013). 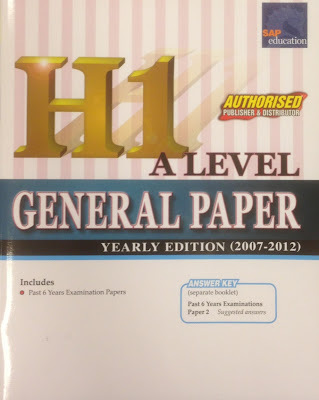 H1 A Level General Paper. Singapore: SAP Education. Web Publications Pte Ltd (2004). A-Level General Paper Past Examination Questions. Singapore: Web Publications. © Yan Kow Cheong, Nov. 17, 2013. We don't have a Nobel Prize in Mathematics, and a number of hypotheses have been put forward to rationalize why Mr. Alfred Nobel didn't see fit to award such a coveted prize to the mathematical fraternity. The closest (or an equivalent) to a Nobel Prize in Mathematics is the Fields Medal, officially known as the International Medal for Outstanding Discoveries in Mathematics, which is granted every four years to between two and four mathematicians for outstanding or groundbreaking research. Traditionally given to mathematicians under the age of 40, Fields medalists receive an honorable Can$15,000, an amount probably sufficient enough to defray the cost of their airfare and accommodation should they decide not to channel their winnings to some charitable organization. For the majority of mathematicians who can't be nominated for a Fields medal, because they're not born with the "mathematical gene," there's still an infinitesimal hope that some may be awarded an Ig Nobel in Mathematics. The Ig Nobel Prizes are an American parody of the Nobel Prizes and are given each year in early October for ten unusual achievements in scientific research. The prizes are to "honor achievements that first make people laugh, and then make them think." These highly-coveted prizes are awarded in many categories, including the Nobel Prize categories of physics, chemistry, physiology/medicine, literature, and peace, but also other categories such as public health, engineering, biology, and interdisciplinary research. Organized by the scientific humor magazine Annals of Improbable Research (AIR), these awards are presented by a group that includes Nobel Laureates at a ceremony at Harvard University's Sanders Theater, and they are followed by a set of public lectures by the winners at MIT. Let's look at some past Ig Nobel winners in Mathematics, Probability, or Statistics. 1. The longer a cow has been lying down, the more likely that cow will soon stand up. 2. Once a cow stands up, you can't easily predict how soon that cow will lie down again. Dorothy Martin of the USA (who predicted the world would end in 1954), Pat Robertson of the USA (who predicted the world would end in 1982), Elizabeth Clare Prophet of the USA (who predicted the world would end in 1990), Lee Jang Rim of Korea (who predicted the world would end in 1992), Credonia Mwerinde of Uganda (who predicted the world would end in 1999), and Harold Camping of the USA (who predicted the world would end on September 6, 1994 and later predicted that the world will end on October 21, 2011), for teaching the world to be careful when making mathematical assumptions and calculations. Gideon Gono, the governor of Zimbabwe's Reserve Bank until 2013, for giving people a simple, everyday way to cope with a wide range of numbers—from the very small to the very big—by having his bank print bank notes with denominations ranging from one cent ($.01) to one hundred trillion dollars ($100,000,000,000,000). Nic Svenson and Piers Barnes of the Australian Commonwealth Scientific and Research Organization, for calculating the number of photographs you must take to (almost) ensure that nobody in a group photo will have their eyes closed. K.P. 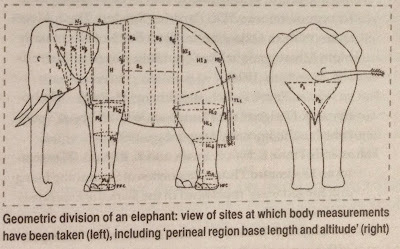 Streekumar and the late G. Nirmalan of Kerala Agricultural University, India, for their analytical report, "Estimation of the Total Surface Area in Indian Elephants." No winners from 1999 to 2001. Jerald Bain of Mt. 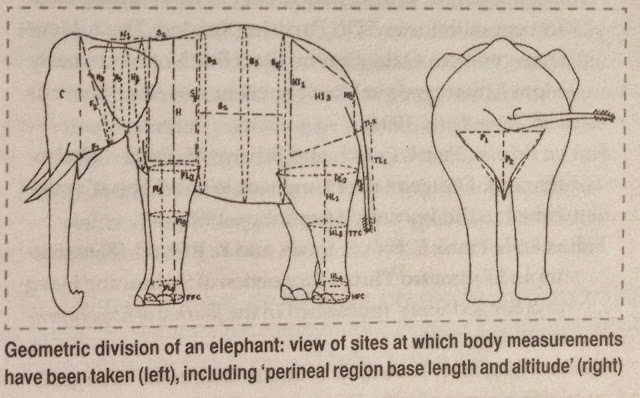 Sinai Hospital in Toronto, and Kerry Siminoski of the University of Alberta, for their carefully measured report, "The Relationship Among Height, Penile Length, and Foot Size." No winners from 1995 to 1997.
Who Are Going to Hell? The Southern Baptist Church of Alabama, mathematical measurers of morality, for their county-by-county estimate of how many Alabama citizens will go to Hell if they don't repent. Robert Faid of Greenville, South Carolina, far-sighted and faithful seer of statistics, for calculating the exact odds (710,609,175,188,282,000 to 1) that Mikhail Gorbachev is the Antichrist. Note: In 1990 Mikhail Gorbachev was awarded the Nobel Peace Prize. No winners in 1991 and 1992. If you think that academic papers are darn boring, The Best of Annals of Improbable Research would dismiss that! Let me end with some improbable or irreproducible research topics you may consider brainstorming with your team members. Who knows? You may end up getting nominated for an Ig Nobel Prize in Mathematics, Probability, or Statistics; and with some luck, even be a future Ig Nobel Laureate. A little-known factoid is that former Prime Minister of Singapore, Mr. Lee Kuan Yew, won the 1994 Ig Nobel Prize in Psychology, for his thirty-year study of the effects of punishing three million citizens of Singapore whenever they spat, chewed gum, or fed pigeons. 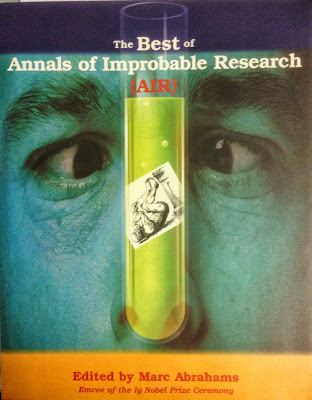 Visit the Annals of Improbable Research Web site. Abrahams, M. (2012). This is improbable: Chesse string theory, magnetic chickens, and other WTF research. Oxford: Oneworld Publications. Abrahams, M. (2002). The Ig Nobel Prizes: The Annals of Improbable Research. New York: Dutton. Abrahams, M. (ed.) (1998). The Best of Annals of Improbable Research. New York: W. H. Freeman and Company. Scherr, G. H. & Glenn, J. (eds.) (1997). The Journal of Irreproducible Results II. New York: Barnes & Noble Books. 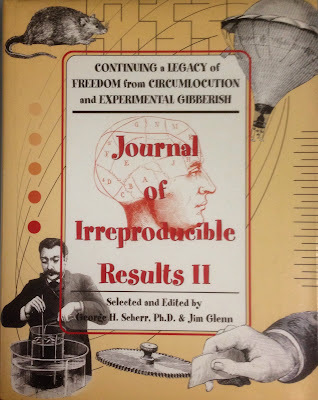 You'll have a heck of a good time reading the papers gracing the pages of the Journal of Irreproducible Results! © Yan Kow Cheong, October 15, 2013.